A suspect is wanted for assaulting and robbing several oil delivery persons. 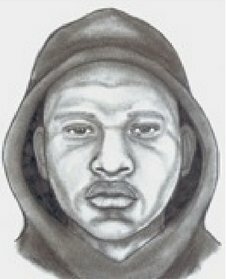 Nassau County, NY - January 27, 2014 - Crime Stoppers and the Nassau County Police Department are seeking the public’s help in identifying the subject pictured in the above composite sketch. The subject is wanted in connection with multiple Robberies which have occurred within Nassau County. From Monday, December 16, 2013, at approximately 2:06 PM, through Monday, January 27, 2014 at approximately 7:59 AM, the pictured subject is believed to be possibly in concert with others who have assaulted, and robbed several Oil delivery persons of US currency, and personal property while they were making oil deliveries to residential homes. Subject: LongIsland.com - Your Name sent you Article details of "Nassau Crime Stoppers Seek Public Help Finding Oil Truck Robber"